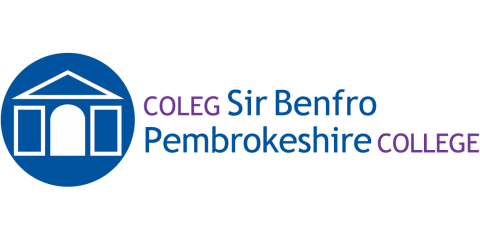 Pembrokeshire College > Uncategorised > Hollyoaks comes to Pembrokeshire College! Hollyoaks comes to Pembrokeshire College! 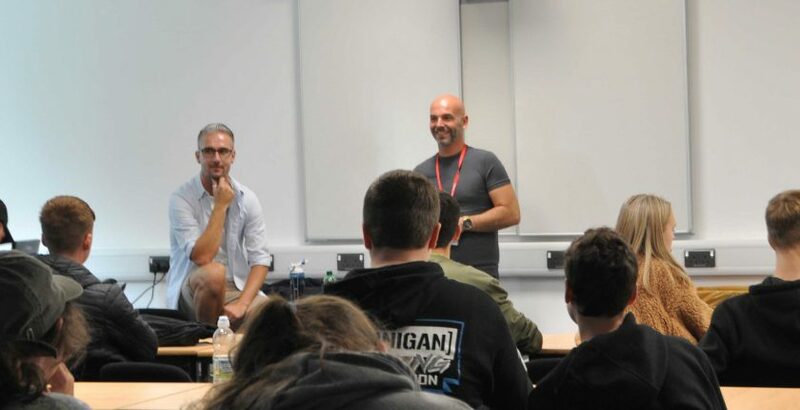 On Thursday 30th August, the summer engagement students at Pembrokeshire College gained an insight into the world of TV acting, when Hollyoaks star Nathan Sussex, who plays Buster Smith in the popular Channel 4 soap, visited to share his experience of becoming a TV actor. The summer engagement programme which takes place at the college during four weeks of the summer holidays, allows students to engage in a variety of mainstream courses before enrolling in September. Subjects within this programme include Performing Arts, Engineering and Construction, Information Technology, Beauty Therapy, Animal Care and many more. With some students looking to join the Performing Arts course Geraint Sayers, Employability Consultant at the college, thought to inspire these learners by inviting in the TV star to share his journey into the world of acting. Originally from Cardiff, Nathan joined a drama school in London when he was twenty-one years old after being inspired by his school drama teacher. It was from there that Nathan succeeded in taking his acting skills to the next level by featuring on shows such as Emmerdale, Coronation Street, Doctors and Viking Saga. Nathan opened the session with a little background history about his Hollyoaks character Buster Smith, the local football coach, and his forthcoming controversial storyline which is set for a big reveal over the next few weeks. Also addressed by Nathan was the various job roles that have evolved within performance-based work from make-up artists, audio technicians, and onset designers. Furthermore, how each role is equally important in successfully meeting strict filming deadlines for broadcasting. At the end of the session there was an opportunity for the students to ask questions.